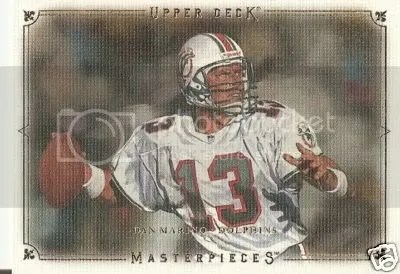 Q & A – 2008 UD Masterpieces Football Missing Card Numbers & Errors? 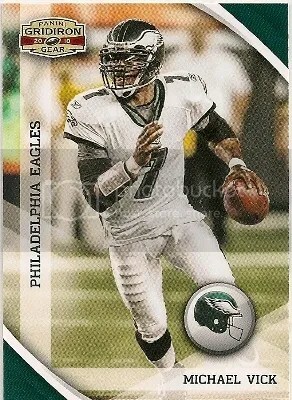 Question: I have been putting together the 2008 Upper Deck Masterpiece football set numbered 1-110. 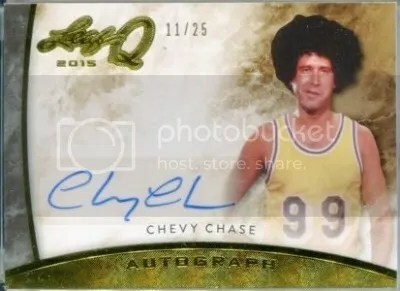 I printed the check list off of Upper Deck’s web site and found that the set is skip numbered, but could not figure out a rhyme or reason that they did this. I was curious if you knew why? The numbers that they skipped are 45, 59, 70, and 100. I have noticed that there are some errors on cards like just printing the artists name instead of “Artist: XXXX”( #84 Tom Brady) and that they capitalized Artist on the base cards but when it came to the time warps and SP Rookies they did not. Then again maybe I am looking into things way too much or it was Upper Deck’s mistake in trying to get the cards to the public in haste after it was pushed back. Any light you could shed on the subject would be appreciated. Answer: Those missing card numbers from the checklist indicate that those specific cards were never produced. The word “Artist” being capitalized on some cards, and not on others is probably and error on Upper Deck’s part. Upper Deck Masterpieces is a “set builders” product, meaning when you have a lot of cards with multiple parallels to produce, there are bound to be some mistakes made. Sometimes these mistakes truly happen by accident, and other times I believe card manufacturers do it on purpose to create a buzz about their product. Thanks for the question, and please keep reading Sports Card Info. Q & A – How do I tell between the different print patterns? Question: My dad has some old baking cards. I read your post about the dots vs. the lines or crosshatch and I can’t tell the difference. I’m sorry for my ignorance. When looking at the cards under a 16x magnifying glass I see what looks like flowers. I have an old card that has been graded by PSA and when looking at the card under the magnifier, it looks like the same flowers. Is there a difference in the print (flowers, dots, lines, etc.) between a card from 1911-1913 vs. 1950? Thats a great question. If these cards are older and are your dad’s I don’t think we have to worry about them being fakes. If you say the print pattern is the same when looking at the PSA graded card I would say no. 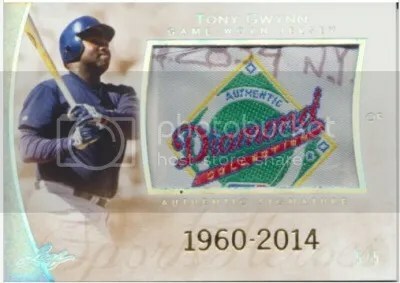 If PSA graded that card it is not a fake and the print pattern is fine. The cards from the 1911-13 time were not printed as well as the ones from the 50’s but the process is about the same. Cards from the 50’s were made for collectors. Most of the cards from the early 1900’s were made for packs of cigarettes and not really collectible back then. If you compare the print pattern of today’s cards you will see a huge difference. Dot printing uses very small dots to make up the whole picture. Lines or crosshatch uses small lines going in different directions to make up the picture. The printer will also use different amounts of pressure to get the shade of color they are looking for. The “flower” pattern sounds to me like dot printing If I were you, I would send those old cards in for grading and/or certification. Thanks for the question and I hope I was able to help. Q & A – How do I tell if a card is a reproduction? Since a lot of my posts and eBay guides show up first in search engine results I get some questions from time to time. I like getting questions about cards, so I thought I would post the reader’s questions and my answers for you to read. Here is the first question I have received since starting the Sports Card Info blog. Enjoy!!! Question: My son has a lot of cards that he is wanting to try and sell. My question is, how can one tell if the card is a reproduction? Thanks. Answer: A good way to tell if a card is a reproduction is to look for any logos or images that aren’t on the originals. If you are talking about vintage cards, a reproduction will probably be in better condition, have darker/richer colors, and the copyright date on the back of the card in real fine print should be newer. If you can, check to see whether that specific set contains reprints of older cards. I hope that helps. Thanks for the question.